Imagine family and friends gathered ‘round a rustic pine log dining table from Woodland Creek! What could be more satisfying than sitting down with family and friends for a home cooked meal? Seeing them all gathered ‘round one of our handcrafted solid wood log dining tables! We’ve got dining tables to fit every space and a wide variety of rustic decorating tastes. From oval to octagonal, we’ve got dining tables to fit any rustic décor occasion you cook up. 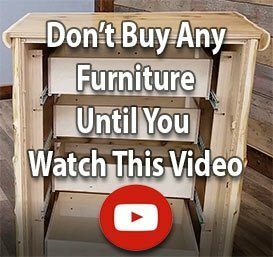 Browse our log dining room furniture to find the perfect dining table package. Have an ever expanding crew to feed? Browse our collection of extending dining tables today! 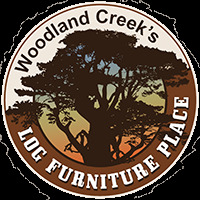 From the irregular twists and turns of aspen furniture to the richness of reclaimed wood furniture, you’ll find it at Woodland Creek's. Red and white cedar options sit alongside barnwood, hickory, teak and pine – in a wide range of colors and finishes. We even offer extendable dining tables to accommodate your ever expanding circle of family and friends, ‘cause we know how popular you are or will be with your new dining table.